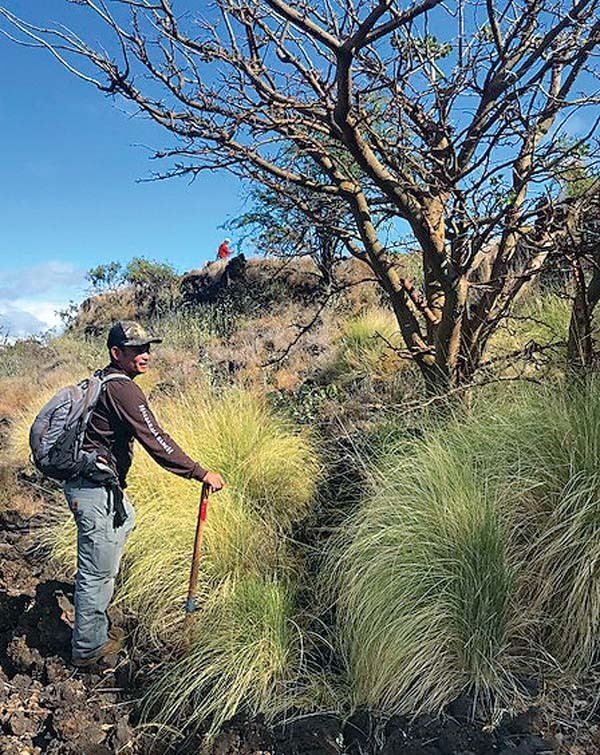 Jared Clapper with Hana Lima Land Management, working on behalf of Haleakala Ranch, was part of a team responding to an infestation of invasive fountain grass in proximity to Pu‘uokali above Kihei. Fountain grass has a reputation for fueling a cycle of brush fires and is one of the greatest threats to the remaining dryland forest ecosystems. On the leeward slope of Haleakala above Kihei rises a red dirt cinder cone named Pu’uokali, which means “the hill of waiting.” It is said to be one of several mo’o (lizard deities) who were transformed into cinder cones on the summit. From her prominent vantage, Pu’uokali watches over her daughter, Pu’uoinaina, on the island of Kahoolawe. As visible as Pu’uokali is to Maui residents, she also has her secrets. Inside the cinder cone is an intact dryland forest — a representation of the most diverse and most threatened ecosystem in Hawaii. This native oasis was forgotten about until the early 1980s when a brush fire broke out nearby and biologists rediscovered the forest. Wiliwili, lama, naio, koaia and ohe are the dominant trees of this forest — these plants were essential for early Polynesians but are virtually unknown today. Dryland Hawaiian forests are the most diverse of Hawaiian forests, yet they are virtually lost: An estimated 90 to 95 percent of dryland forest is gone. What remains is critical as 25 percent of endangered Hawaiian plant species are found in these tiny refugia. 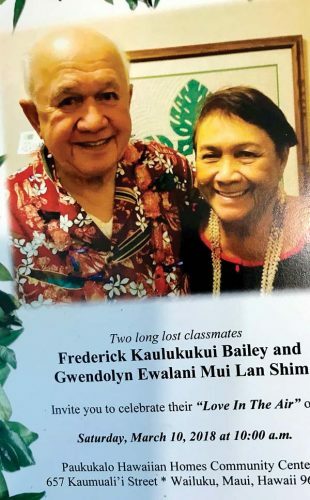 In July of 2018, Byron Stevens of the Hawaii Natural Area Reserves System passed over Pu’uokali in a helicopter and saw something that didn’t belong: a 2-to-4-foot-tall bunchgrass with wiry leaves and purple bottle-brush flowers. Fountain grass. 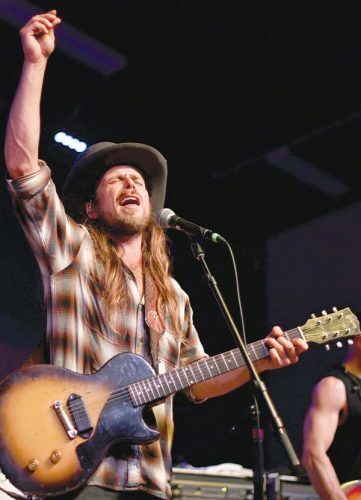 He sounded the alarm to multiple conservation organizations. Fountain grass is almost never found on Maui, but is extremely widespread on the leeward side of Hawaii island, where it has transformed the landscape and continues to spread. Any sightings of this invasive bunchgrass should be reported — identified by its purple bottle-brush flowers that turn white as they age. Fountain grass is an invasive weed rarely found on Maui. Native to North Africa, it’s targeted for eradication by the Maui Invasive Species Committee. The drought-tolerant grass is able to survive in some of Hawaii’s driest areas and poses a serious threat to native dryland forest. While rare on Maui, the alien grass now covers much of the leeward coast of Hawaii island. Introduced as an ornamental in the early 1900s, fountain grass has completely transformed the Kona side of the Big Island, turning what was once bare lava with patches of native forest into fields of grass. Dominating arid, bare lava is one thing, but this wiry bunchgrass can also advance into intact forest, in part because it survives brush fires. Fountain grass is fire-adapted; it can regrow after flames pass over then quickly flowers and sets seeds to recolonize the area. In contrast, Hawaiian forests are not adapted to fires — native plants generally don’t survive. Fountain grass is notorious for fueling and increasing fire. At one site on Hawaii island, fountain grass (ignited by humans) has increased fire frequency from once every 500 to 1,000 years to once every six to eight years. 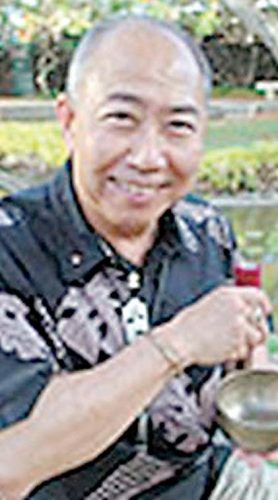 “Fountain grass is a direct threat to the Maui County sanctuary forests such as Puuokali,” says Medeiros. Though surrounding areas have burned, Pu’uokali has not had any wildfire, hence why so much remains. This hidden forest survived over the years partly because the surrounding landscape was so barren. There was no fuel for brush fires, and less incentive for goats and deer to cross the cinder to reach the crater. “The last refuges (of dryland forest) are in these rocky areas,” Medeiros explains. The intrusion of fountain grass changes that. 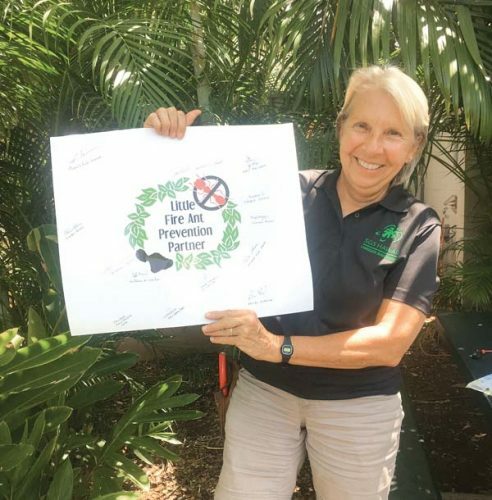 With that in mind, crew from multiple organizations — Auwahi Restoration Group, Haleakala Ranch, the Maui Invasive Species Committee and the Plant Extinction Prevention Program — came together to remove over 1,000 fountain grass plants from Pu’uokali. Completing the work will take several years. Grass seeds cover the ground and recent rains will bring a flush of seedlings. But now that the infestation has been detected, it can be managed and eradicated. You can help. Fountain grass is often used as an ornamental landscaping plant, and people sometimes plant it on Maui by accident. Seeds can be unwittingly transported interisland on hunting or golf gear. 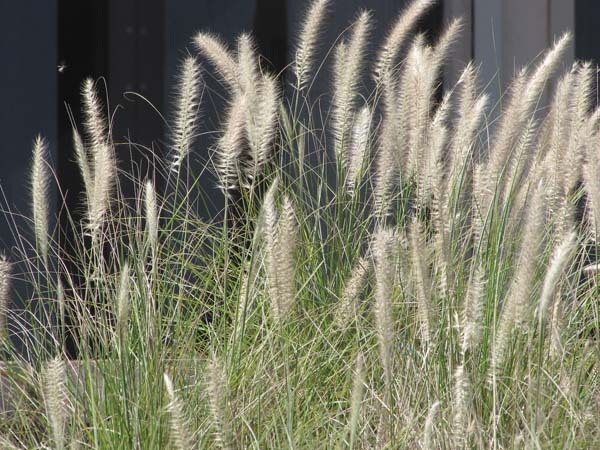 If you see fountain grass, take a photo and report it. You can contact MISC directly at 573-MISC (6471) or the statewide pest hotline at 643-PEST or 643PEST.org.